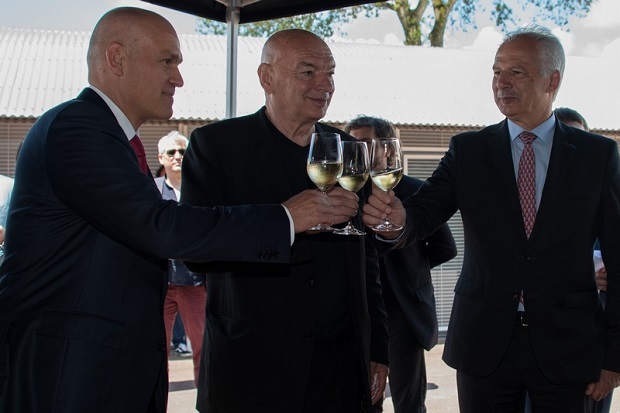 A true global celebrity, architect of the Arab World Institute in Paris and the Louvre Abu Dhabi, Frenchman Jean Nouvel presented the Chateau la Grace Dieu des Prieurs reconstruction project, his latest project in Saint-Emilion (France). Located in one of France’s most ancient wine-growing areas, the historic vineyard La Grace Dieu Des Prieurs underwent a major transformation under close supervision of Jean Nouvel. The architect, who had spent his childhood next to Saint-Emilion, managed to create a unique project bridging French winemaking traditions, modern technology and Russian art, and turning the chateau into a unique art site. The grand opening of Chateau La Grace Dieu des Prieurs gathered eminent guests in Saint-Emilion, among them the Russian ambassador to France Alexei Meshkov, the Mayor of Saint-Emilion Bernard Lauret, the Abbot of Saint-Emilion Abbey Emeric de Roziere, winemakers Louis and Francois Mitjavile, and Director of the Art Russe Foundation Rena Lavery. 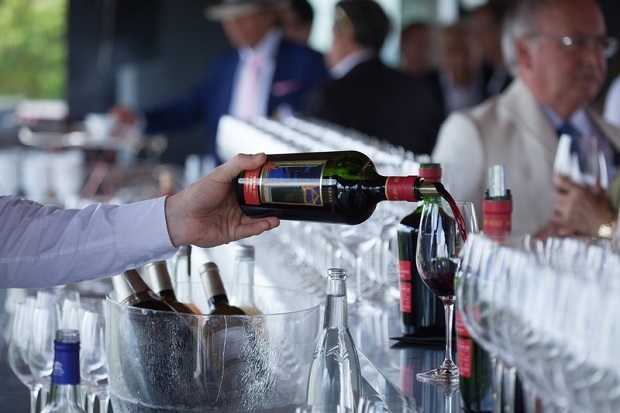 The event was attended by Art Russe Saint-Emilion Grand Cru partners and distributors, leading French and international wine critics, and numerous representatives of the Russian and foreign media. The highlight of the ceremony was a concert of the renowned pianist Nikolai Lugansky, who performed works by Achille-Claude Debussy and Sergei Rachmaninov. Also in attendance were owners of other Saint Emilion wineries, including Chateau Aurage, Chateau Candale, Chateau Franc Grace Dieu, Chateau La Commanderie, Chateau La Grace Dieu les Menuts, Chateau Milens, Chateau Naulet, Chateau Pindefleurs, Chateau Tertre Roteboeuf, Chateau Quintus, Clos Dubreuil and others. Chateau La Grace Dieu Des Prieurs was founded in 1885 and today is surrounded by such wine estates as Laroze, Chateau Figeac, La Dominique and Cheval Blanc. 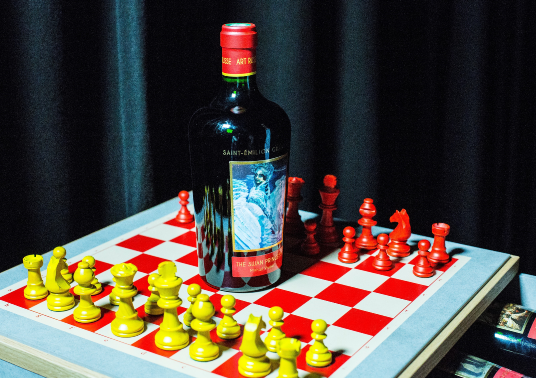 Its wine is bottled under the name La Grace Dieu Des Prieurs since 1958, and has always enjoyed a good reputation among connoisseurs of Bordeaux. In recent decades, however, the chateau found itself in dire need of reconstruction and process modernization. In 2014-2017, the chateau underwent a large-scale transformation aimed at preserving French winemaking traditions, while introducing innovations to achieve the highest quality of wine. 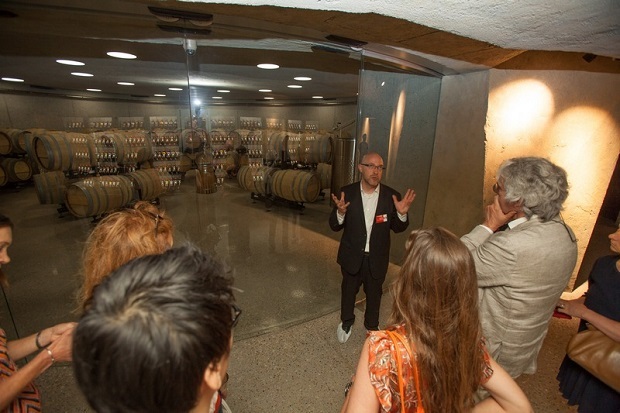 To improve the winemaking process, the renowned consultant Louis Mitjavile was invited. The modernization project was carried out under the supervision of the Chateau Director Laurent Prosperi. Jean Nouvel developed the architectural redesign project, with the overarching objective to preserve and highlight historicity of the place, while bringing modernity to the production process and the architectural ensemble. 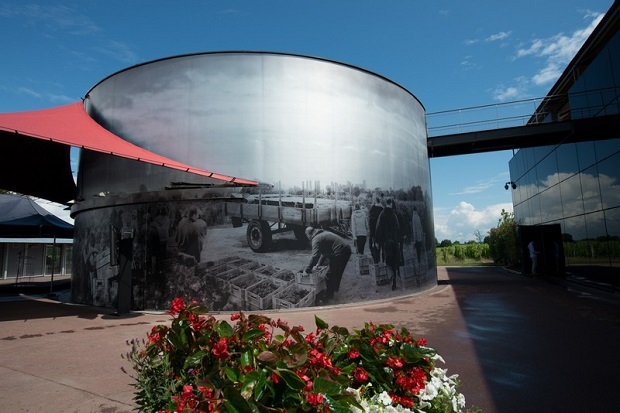 The new gravitational cellar now boasts not only the most advanced equipment, but is also a magnificent piece of modern design: the cylindrical building resembles a fermentation tank, whose wall is decorated with a fresco depicting all stages of the winemaking process. Jean Nouvel’s vision allowed transforming the chateau in Saint-Emilion into a genuine piece of art. The new owners did not limit themselves to architectural and technological transformations. In 2017, Chateau la Grace Dieu des Prieurs and the Art Russe Foundation, which owns one of the largest collections of Russian and Soviet art of the late 19th and 20th centuries, signed an agreement under which the Art Russe brand and reproductions of paintings from its collection will be made available annually to the chateau, to design grand cru wine labels. The choice of artworks is driven by the objective to showcase a variety of trends in Russian art. Today, Art Russe Grand Cru labels display reproductions of works of Ilya Repin, Viktor Vasnetsov, Mikhail Vrubel, Valentin Serov, Nicholas Roerich, Nikolai Fechin, Alexander Gerasimov, Viktor Popkov, Geliy Korzhev and other Russian and Soviet artists. «For us, the project bridging the art of winemaking and the art of painting represents an opportunity to expand the audience for the programs of the Art Russe Foundation and raise awareness of Russian art in a new format. 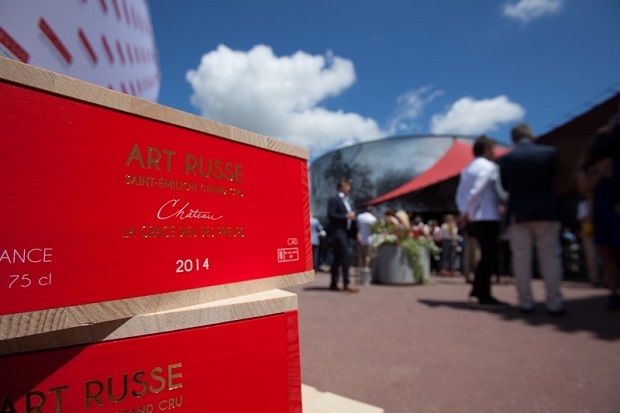 Thanks to the project, many people in Russia and around the world have discovered great French wine, and, through wine, have discovered Russian art, said Andrey Filatov, founder of the Art Russe Foundation and owner of Chateau la Grace Dieu des Prieurs.